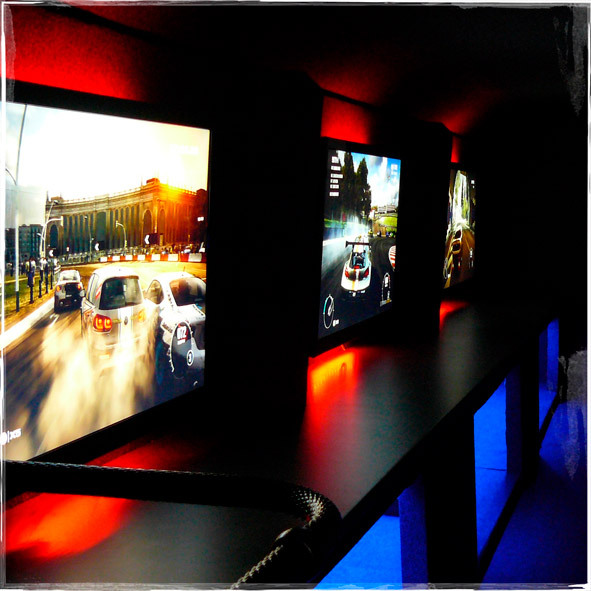 The Gamersbus is a double decker packed with the latest gaming tech all linked to bring together gamers of all ages, brought to you along with a gaming Marquee with even more gaming goodness to excite and entertain. From Latest Gen Consoles to high end gaming PCs all linked together in multiplayer mayhem. Are you a Minecraft elite player wanting to show your skills in battle mode? Or casual creative wanting to build beautiful sculptures with friends? A Fifa enthusiast looking for new challenges? A Racing god ready to leave your opposition in the dust? Or a brawling button masher looking to dominate your opponents. 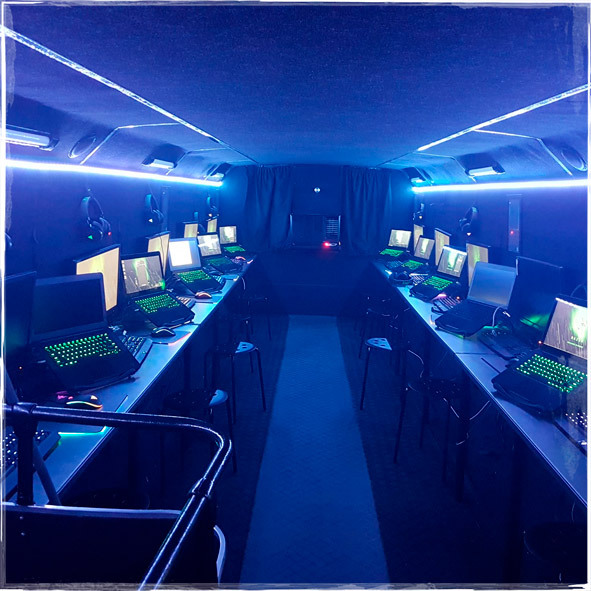 All the gaming content is zoned from Youngest players in the marquee to the older gamers upstairs on the Gamersbus, there is something for everyone. (Marquee is recommended for ages 5+, downstairs on the bus from 7+ and 11+ upstairs.) There will even be some retro gaming goodness for the parents and kids alike. So come on Geronimo...let's Play!